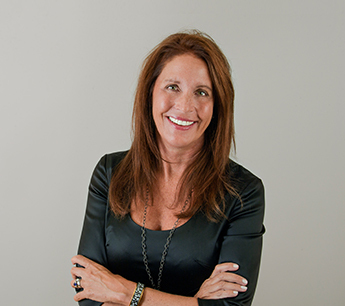 Robin Sande has more than 26 years experience in retail, retail leasing and merchandising. She joined RKF in 2007 as Senior Managing Director in the firm’s Strategic Retailer Services group. Robin focuses on the development and execution of national strategic expansion plans for retailers. She has comprehensive knowledge of national markets and extensive contacts with property owners throughout the United States. Robin is currently focused on the national expansions for Max Studio, Kiehl’s, NYX Professional Makeup, The Body Shop, Urban Decay, #makeup, Luxury Beauty Store, Atelier Cologne, Michael Hill Jeweler and Evereve, securing locations on urban streets, and in outlets, malls and lifestyle centers throughout the U.S. Prior to joining RKF, Robin was Vice President of Real Estate for bebe Stores, Inc. where she was responsible for devising the retailer’s strategic expansion roll-out in the U.S., Canada, Puerto Rico and the Caribbean. While with bebe, Robin secured 125 locations for the retailer. Previously, she served as Senior Director of Real Estate for Polo Ralph Lauren, successfully executing the national roll-out of Club Monaco. Prior to that, Robin spent seven years with The Wet Seal, Inc./Arden B. as Director of Real Estate. Robin earned a Bachelor of Science degree in Mass Communications and Rhetoric from the University of Minnesota. She is a member of the International Council of Shopping Centers.